Jangle pop band that, although home to Marietta, Georgia, was often announced as a band from Athens, Georgia – striking because the distance between both places is over sixty miles. 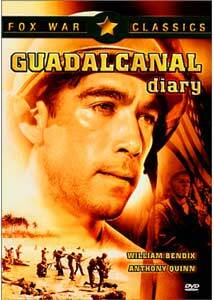 Guadalcanal Diary is the title of a 1943 film directed by Lewis Seiler and indeed of a book from 1942 the film was modeled on, written by Richard Tregaskis, who as war respondent reported about the Battle of Guadalcanal. Guadalcanal, an island in the South Pacific, was the scene of fierce battles between Americans and Japanese in World War II.